What is the difference between a cyclone, a hurricane and a typhoon? Simple answer is that there is no difference between a cyclone, a hurricane and a typhoon. All these are the same weather phenomenon: tropical cyclones, as described on NOAA's website. A tropical cyclone is a generic term used by meteorologists to describe a rotating, organized system of clouds and thunderstorms that originates over tropical or subtropical waters and has closed, low-level circulation. The weakest tropical cyclones are called tropical depressions. If a depression intensifies such that its maximum sustained winds reach 39 miles per hour, the tropical cyclone becomes a tropical storm. Once a tropical cyclone reaches maximum sustained winds of 74 miles per hour or higher, it is then classified as a hurricane, typhoon, or tropical cyclone, depending upon where the storm originates in the world. And that is the only difference. The location of the storm. In the North Atlantic, central North Pacific, and eastern North Pacific, the term hurricane is used. The same type of disturbance in the Northwest Pacific is called a typhoon. Meanwhile, in the South Pacific and Indian Ocean, the generic term tropical cyclone is used, regardless of the strength of the wind associated with the weather system. Hector is a hurricane, right? Once again, it depends on it’s location. 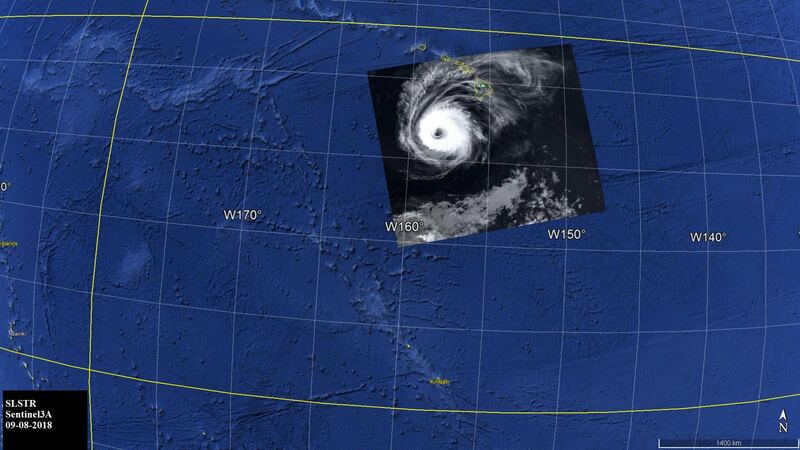 Hurricane Hector will change it’s name to Typhoon Hector once it crosses the International Date Line (180° meridian). No change in the type or intensity of the storm, just the location. 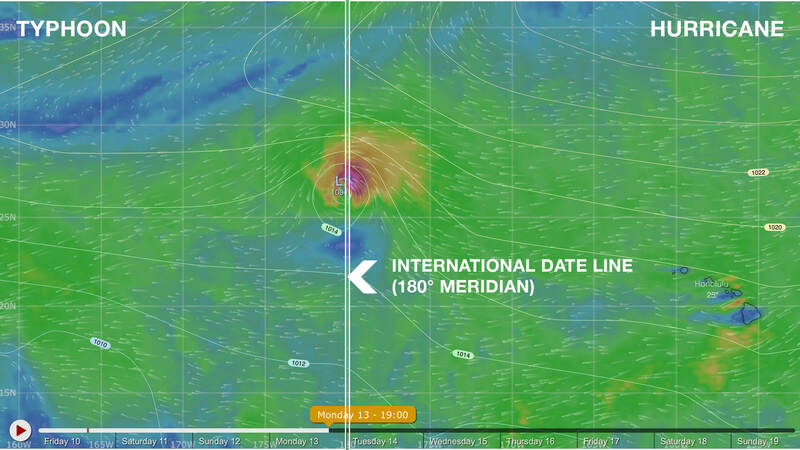 Hurricane Hector is about to cross the 180° meridian on Monday, 13 August 2018 around 7 p.m. HST, as forecasted by Windy (based on ECMWF forecast model). Track the path of Hector with Windy.